In our coverage of the refugee crisis for the past year, we have asked the nonprofit sector to take up the work of the less-than-willing state governments, and we have also asked the media to have the courage to report on the brutal realities forcing people to flee their homelands. Now, Germany’s art community is setting a bold example for the international nonprofit sector on how to welcome refugees and truly integrate them into society: give them meaningful work, educate them on their new country, and most importantly, allow them to remain connected with their homes. 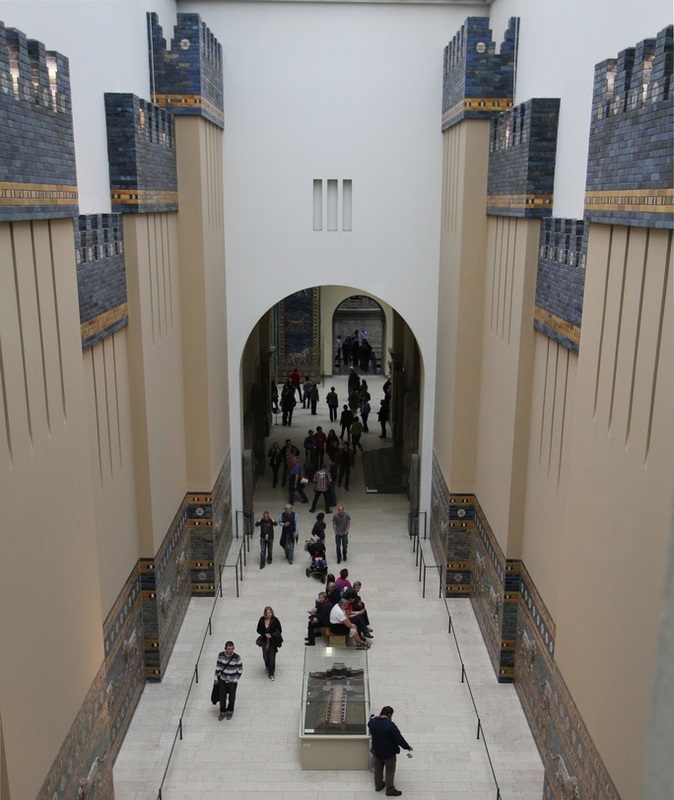 The Prussian Cultural Heritage Foundation, a state and local government-funded organization that oversees the country’s cultural institutions, such as libraries and museums, launched an initiative as part of Germany’s integration plan to help train incoming refugees to become Arabic language tour guides in museums for other refugees. Project “Multaka,” which is Arabic for “meeting point,” began last December and includes 19 refugees from Syria and Iraq who have been trained to deliver one-hour-long tours in a growing number of museums across Germany, including the Museum of Islamic Art, the Museum of Byzantine Art, and the Germany Historical Museum. In part, the purpose of the project is get the refugees back into the industries and reignite the passions they had before they were expelled from their countries. As is sometimes true for immigrants in the United States, it can be difficult for migrants with advanced degrees to pursue the high-level careers they had in their homeland. As such, refugees who were in the arts field were excited to be able to jump back into their roles in the community through such an initiative. This is true for Mohamed Al-Subeeh, 64, who was an art restorer in a Syrian museum. After arriving in Germany last August, Al-Subeeh never thought he would be able to work in a museum again in another country. “I loved my work in Syria,” said Al-Subeeh. “Being a guide here [in Berlin] makes me feel like I’m getting a bit of my life back.” Al-Subeeh now works for the Bode Museum in Berlin. Every Wednesday and Saturday, refugee tour guides conduct tours in Arabic for other refugees. The tours help acclimate refugees in their new adoptive country by actively teaching them about German history as well as that of Europe generally. The tours of the German History Museum tell the tale of a country devastated by numerous wars, with millions of displaced individuals trying to find new homes in foreign countries. The story may sound familiar, and Bashar al-Mohammad al-Shahin, one of the 19 refugee tour guides, wanted to impress on visitors that there is hope for the future. The tours are particularly poignant when the collections include artifacts from the refugees’ homelands. Arabic and Islamic art collections are intentionally included on these tours because it is “particularly important for people who have lost their homeland and who now find themselves in a foreign land,” according to Hermann Parzinger, president of the Prussian Cultural Heritage Foundation. As such, the program also helps connect refugees visiting the museums with a small part of their homes. “I really enjoy this. It’s important to me to see this art, these colors, materials, everything here. It feels like coming home,” said Shadi Zayab, a graphic designer who fled Syria four months ago to avoid being drafted in the army. Economically, the tours have been incredibly profitable, both for the museums and for the country, which has absorbed more than 1 million refugees since last year. Indeed, Germany has seen its share of anti-refugee sentiment, conflict, and disorder due to its “open door” policy. Yet, since December, more than 3,000 refugees have visited these exhibitions. Originally, refugee tours were only offered once a week, but another day was added due to the high demand. “We didn’t expect so many people,” said Robert Winkler, the coordinator of the program. While refugees under law cannot be employed full-time, they are reportedly making the same rate their German co-workers get. If nothing else, the program provides an encouraging example of how other countries handling the intake of refugees can help better integrate these individuals into their society. Not only is this work meaningful, as illustrated by some of the reactions of visitors on these tours, but also the society can rely on a part of its refugee population to contribute to society.